Another Vintage Walnut Wood Body Triolian? I'm from France and I've been consulting this remarquable forum as a guest until now. I am the one who bought it! I am quite curious about its history, and wonder if it's actually what it seems to be. So what do you guys think? Looking forward to hearing your feedback! Welcome to our forum and thank you for your kind words. I have just seen your link to Reverb.com and looked at your guitar. Serial number - 1540 - I think that puts it into June or July 1929. It is a very nice all totally original (apart from the tailpiece which probably broke) 1929 wood bodied National Triolian. The nut, in my opinion, is 100% factory original. I am surprised that Jason at National thought it was not original. This guitar was probably ordered as a raised action Triolian for Hawaiian steel playing. 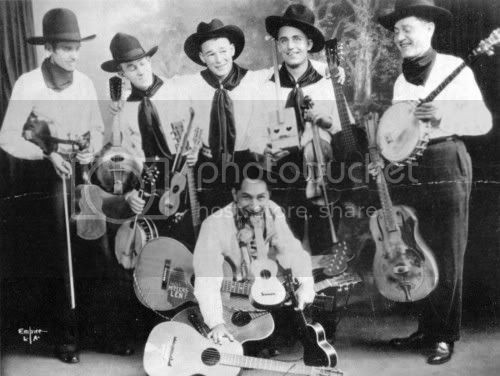 It was likely to have been influenced by King Benny Nawahi, who also played Hawaiian steel guitar on a wood bodied Triolian with a high nut. Thanks for your reply and kind words Michael! So in your opinion, should we consider this one as the fifth walnut woodbody Triolian or does it belong to another National classification? My apologies for this late reply, but I have been very busy and have only just noticed your question. I will discuss your question with Mark Makin and let you know what we think. I thought that was a nice guitar. The finish looked very clean. It would be worth finding an original tailpiece for it. Do you plan to leave it Hawaiian style? 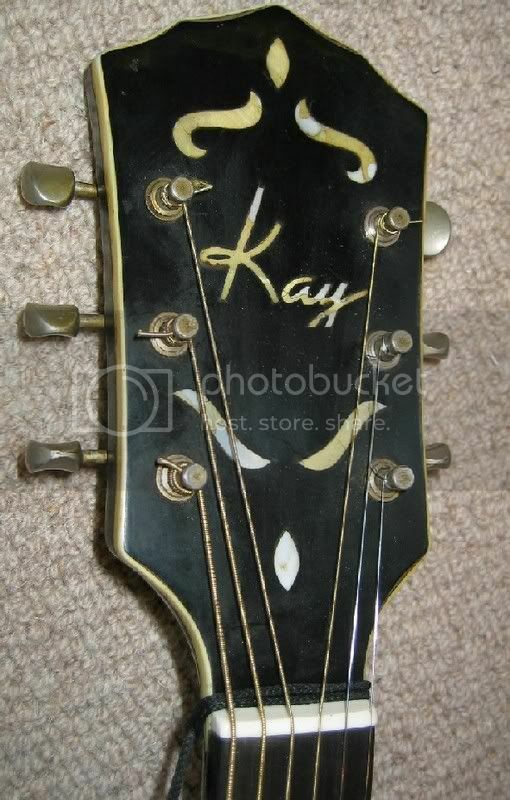 I agree that the finish on the headstock side of the nut means that it is original. 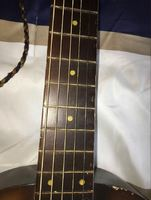 I find it interesting that the guitar does not have a headstock decal and I can't see any residue where one used to be. A nice find, congratulations. 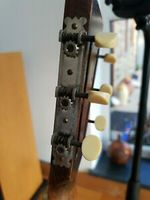 As you must have seen, the original tailpiece is there too but broken at the angle, I'm planning to bring it to Mike Lewis and see what he can do about this and other settings. I'm thinking about learning to play lapsteel position so the first option is to let this nut as it is. On the other side my other WB Triolian has a very slight elbowed neck, so I'll have to decide which one is suited for each kind of play. 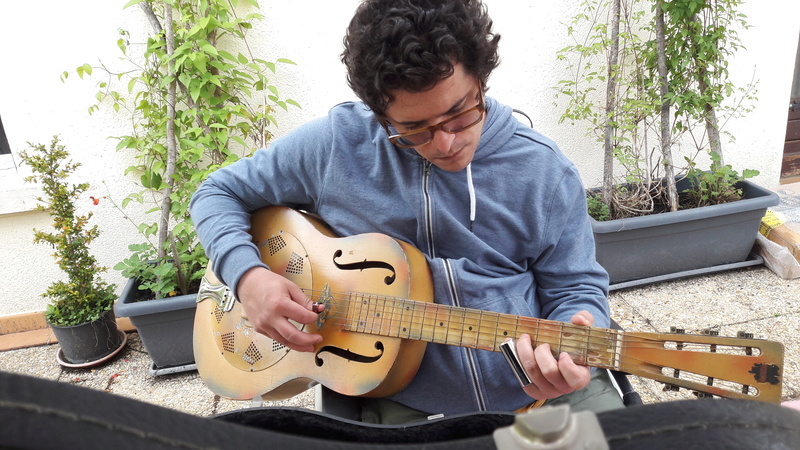 Thanks for your interest and feedback, it's always tricky to spot a supposedly great instrument from distance and I'm getting confidence from your replies. Laser-Weld the broken tailpiece ! I've had two repaired this way. The tidiest repair, and I reckon the strongest, by far. 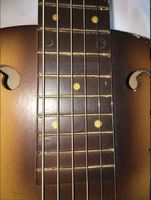 I have a 1930 Style O that had it's broken tailpiece repaired 15months ago. 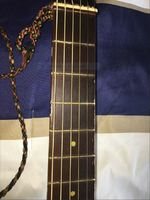 The guitar has been strung up to full pitch since then, had some new sets of strings installed a few times, gigged, bashed around a bit AND it still looks as strong as the day it was repaired. I'm a Dentist and got a Dental lab to use their Laser-Welder. Not all labs will have one of these though, as they are expensive ! Did you discussed the question by any chance with Mark? I bought his wonderful book by the time and it wasn't mentionned either. Hello Niaro, sorry I’m so late catching up with this thread. Yes, your guitar is exactly what I would expect as a factory-original Wood Triolian with a sunburst finish. I agree with MM that this was probably issued from the factory with a Hawaiian nut. We have a group of sunburst finished guitars in the early part of 1929 with numbers 1050,1052,1057. Yours seems to be from a similar small batch made towards the middle or end of the year - 1503,1540. As you probably know there was also a number of these that are numbered in the W series metal Triolians range such as 1771W, 1772W and 1893W. These later ones were issued in 1931, years after the guitar production changed to metal. It seems likely that they were used to fill up the numbers of shipping orders but, obviously we can’t be sure. These wood bodied Triolians are certainly a small, select and rare group!! Can you post a photo, showing the tuner plates ? If so, do they have a single or double point, in between the Mickey-Mouse ear ends of the plates ? I can’t open these files, on my ipad, at least. Sorry, but I can't open that one either - d(w)on't have a microsoft account.